Chatroulette has a reputation for, well, not really being good for anything. Unless you’re looking for a way to see the most dicks in the least amount of time. If that’s your goal, it’s either Chatroulette or a GOP debate. But what’s this? Something incredibly cool and innovative on Chatroulette? Take about 30 people, £900, and a good idea, and I think we’ve found the real purpose of the site – interactive gaming. 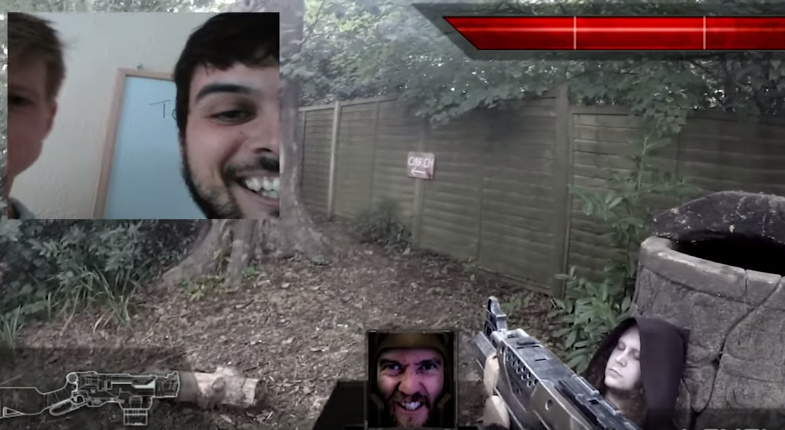 Realm Pictures created an interactive first person zombie shooter and let Chatrouletters control the action. It’s an inarguably awesome way to use the platform. “It took about a month of R&D to get the streaming all figured out and make sure we could cut the latency right down so it was actually “playable” in a sense of the word. We did it all over a weekend, with about half a day of rehearsals with all our extras and then straight into the real thing,” says one of the game’s creators on reddit.